Delivering what URC calls a crystal clear onscreen GUI, the MRX-20 allows users to control the home system, without interrupting source playback. Designed to work out of the box with the TRG-100 and TRG-200 gyroscopic remote controls, the MRX-20 allows movement of a cursor on the TV screen, controllable via physical motion from the remote controls, or if the end-user prefers, by pressing the directional hard buttons. 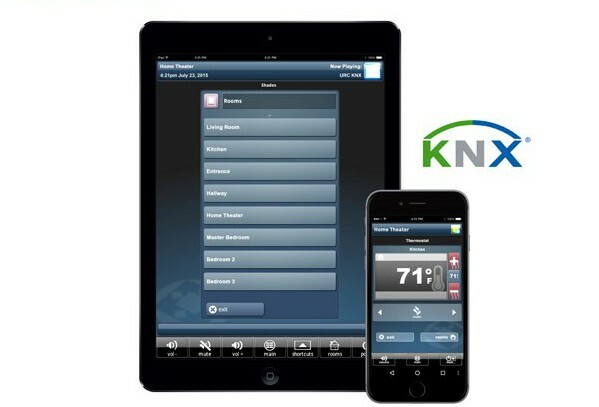 The MRX-20 is designed to provide intuitive control of entertainment, lighting, security, HVAC and more. Storing and issuing commands for IP, IR, RS232, relay and sensor controlled devices, the system allows one button to be programmed with multiple advanced macros. Connectivity options include 10 IR ports, four RS232 ports, four relay ports, four sensor ports, two 12-volt outputs, three HDMI inputs and one HDMI output. The on-board processor delivers enhanced performance on all two-way communication, even in large installations and multiple MRX-20s can be linked together to expand the system if required. The MRX-20 is compatible with the TRG-100 and TRG-200 remote controls. Using advanced gyroscopic technology, these controls work with the Advanced Onscreen Network System Controller to allow end-users to flick and swipe through onscreen control options with just a wave of their hand.